The main aim of this website is to share with you some of my experiences and thoughts concerning evaluation. You are most welcome to read and to comment. I’ll be more than happy to discuss any issue raised concerning evaluation. 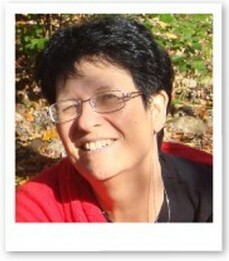 My name is Miri Levin-Rozalis and for the last 35 years, evaluation has played a very significant role in my professional life; I taught, researched, and conducted evaluation. I was first introduced to the field as a novice evaluator during my B.A. studies and since then I have been mainly an ‘evaluator’. At Ben-Gurion University I initiated and headed the program for graduate and post graduate degree in evaluation; Co-head qualification in evaluation program for teachers’ teachers at Moffet Research Institute, Tel Aviv; and served as an organizational learning coordinator for the Davidson Institute of Science Education at the Weizmann Institute of Science. At 1998 I co-founded IAPE – Israeli Association for Program evaluation, seved as its president and now member of its board. 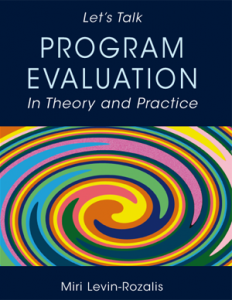 The more I dealt with evaluation, the more I was intrigued by its complexity, and I tried to unravel some of its inherent tensions and to understand its many facets. Part of the results of this effort can be found here. Conducting evaluations has exposed me to various areas of life, many diverse populations, and different ways of thinking and operating. Over the years, I have trained hundreds of students, teacher trainers, and others as evaluators. Some of these experiences are presented here as well. 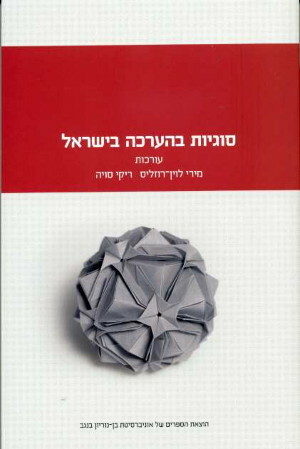 In line with my belief that sharing information is vital for the development of the evaluation field, this website provides a glimpse of some of my scientific articles (most of them having to do with evaluation), evaluation reports (mainly in Hebrew), and some lectures and presentations I have given. I hope you’ll find what I have to offer interesting and helpful, and you are most welcome to send your comments and share your thoughts with me. ד”ר מירי לוין-רוזליס מעריכה תוכניות, חוקרת את תחום ההערכה ומלמדת אותו במסגרות שונות כשלושים וחמש שנים. כמרצה בכירה וראש היחידה להערכה באוניברסיטת בן-גוריון, יזמה והקימה את התוכנית לתארים מתקדמים בהערכה, ועמדה בראשה במשך שש שנים. במכון מופ”ת שמשה ראש תוכנית (בשיתוף) של התוכנית להערכה ומדידה למורי-מורים. במכון דוידסון לחינוך מדעי שליד מכון ויצמן למדע הייתה במשך למעלה מחמש שנים אחראית ללמידה ארגונית. חברת הנהלת איל”ת – אגודה ישראלית להערכת תוכניות שגם הייתה ממקימיה והיו”ר שלה במשך מספר שנים..